The last nail in the coffin of the argument against tanking has been put in place. The Los Angeles Lakers are headed towards the bottom of the NBA, as Jeremy Lin didn’t even get to play in the 99-85 loss against the San Antonio Spurs following the announcement that Kobe Bryant won’t be playing again this season. Why didn’t he play? 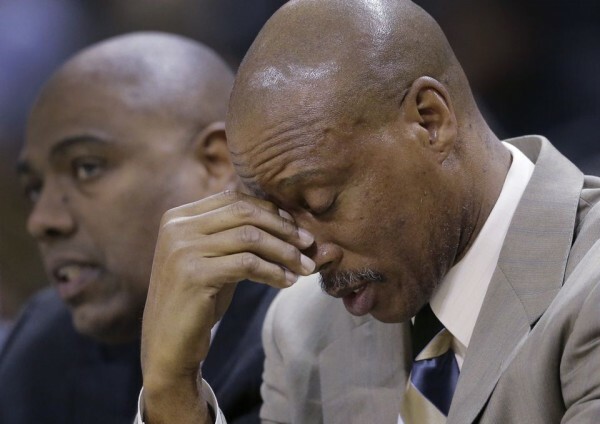 Byron Scott had this to say: I know what Jeremy can do, so the next game it might be different. And that’s it. The Lakers started with Jordan Clarkson at point guard and Wayne Ellington next to him. The front court? A weird combination of Ryan Kelly, Jordan Hill and Robert Sacre. There’s the “explanation” of the Lakers going young, which means more minutes for the 22-year old Clarkson. But Ronnie Price, who did get to play (does Scott not know what he can, or mostly can’t do? ), is 31. The only reason Lin isn’t playing, or at least didn’t in this game, with Scott saying that “it’s not like Lin isn’t going to play again this season” is that the Lakers are now in full tank mode. All for that top-5 protected draft pick they have. Scott, and most of the players know, this team is possibly better without Kobe Bryant in the way. Sure, a good, mature and aware Bryant, letting go of his ego, would have been a hindrance on this team getting better. But Bryant is who he is, which is why the contract he got is such a disaster, as these two seasons are turning out to be. Lin is the best guard on the team, but that will just mean he’ll play less than he deserves. Nick Young will probably get less minutes than he should for the same reason. The Lakers have turned into a sad, almost pathetic team. Unless Scott has a change of heart and starts giving Lin the minutes he deserves, getting traded to somewhere else might be the best piece of news Lin has left to receive in what remains of this season.